Do you ever feel self-conscious about your smile? If so, you owe it to yourself to ask your cosmetic dentist about teeth bonding. Your dentist will be able to discuss the pros and cons of dental bonding so you can make the best decision for your oral health. We want to help you best maintain the health of your teeth! Unlike other cosmetic dentistry procedures, teeth bonding is minimally invasive and only takes one visit to our dental office. Continue reading to learn if the dental bonding procedure is the right smile makeover for you. If you have any additional questions or concerns, don't hesitate to contact us today! Are you worried about being put under dental anesthesia? Since teeth bonding is a noninvasive dental procedure, many of our patients don't need pain relievers. However, each patient is different. If you feel slight discomfort during the procedure, let your dentist know so they can locally anesthetize the area. During the procedure, your dentist will apply tooth-colored resin to the surface of your teeth to fix chips, cracks, discoloration, and other minor cosmetic issues. Teeth bonding is minimally invasive because your dentist doesn't have to remove tooth enamel to restore your smile. This is different from other cosmetic teeth procedures such as porcelain veneers or dental crowns. During the veneers process, your dentist has to remove enough enamel so the veneers don't make your teeth look bulky. Even more enamel has to be removed if you need a dental crown so the restoration can fit over your tooth. Many of our patients appreciate that dental bonding lets them keep natural tooth enamel. In comparison, dental veneers and crowns require two trips to the dentist spaced several weeks apart. Since a special tooth restoration needs to be created in the lab, you are forced to wait until you can enjoy your new beautiful smile. Cosmetic bonding requires no waiting period. Looking for an affordable smile makeover? Teeth bonding can fix minor cracks or chips in your smile for less than the cost of veneers or crowns. However, keep in mind that you get what you pay for. While porcelain veneers can last up to 10 years, dental bonding typically lasts between 3 and 5 years. If you're unsure what dental treatment is right for you, we recommend scheduling a consultation with your cosmetic dentist. Dr. Baker DDS and her team are dedicated to helping you achieve your best smile through teeth bonding and other cosmetic dentistry procedures. 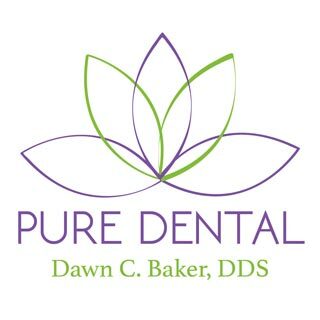 To schedule an appointment with our Gahanna dentist, call Pure Dental at (614) 475-7580.